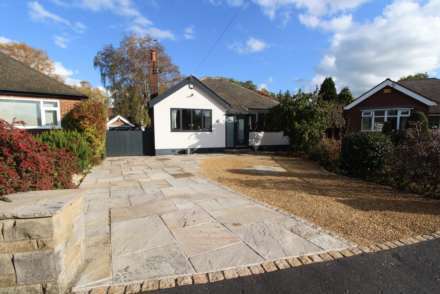 We are delighted to offer for sale this beautifully presented detached bungalow which offers spacious accommodation over just one level, exactly how a bungalow should be! The home is positioned at the head of a cul-de-sac on a fantastic plot which offers ample parking on a spacious driveway to the front. The front is landscaped with Indian Stone paving and stone gravel, adding a contemporary and attractive kerb appeal complementing the look of the property. 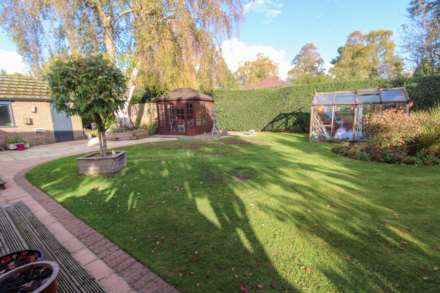 Access down the left hand side of the home via two sets of gates provides extra parking and leads to a detached garage which has power, light and a water supply. 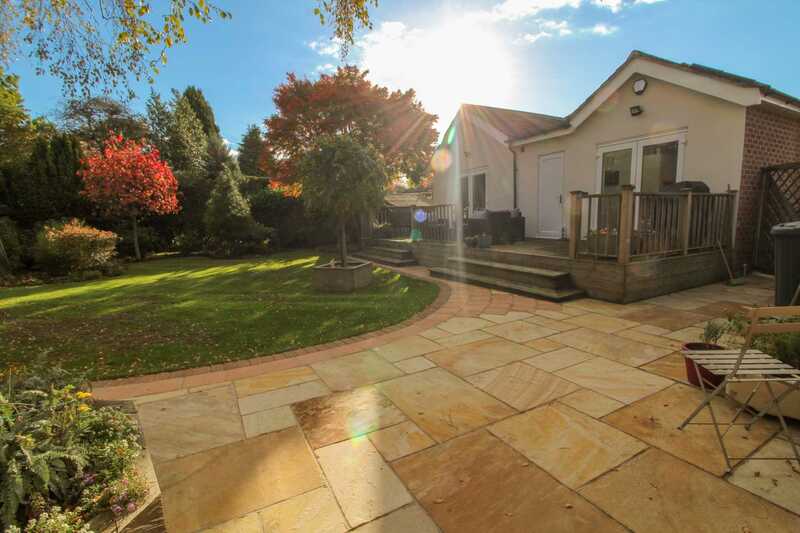 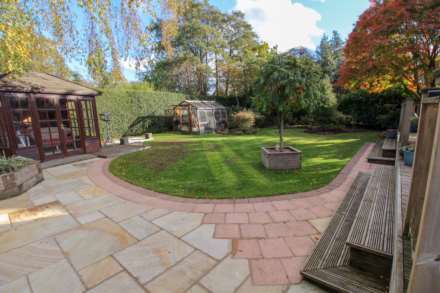 At the rear of the home a gorgeous landscaped rear garden offers several areas to relax and enjoy, including Indian Stone Patio areas, a raised sun decked terrace, plus lawn areas and mature well stocked flower bed borders. Mature borders add an extra degree of privacy to the plot with additional side space to the right hand side of the property. 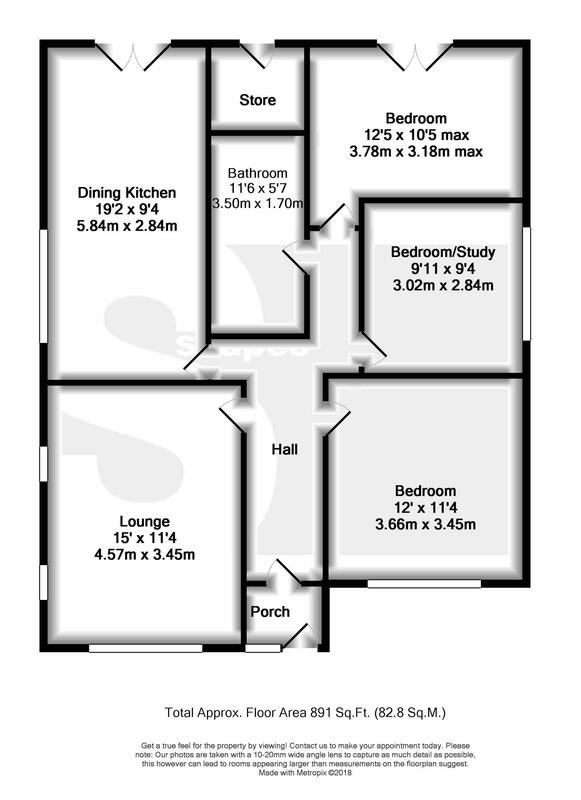 We trust our floor plans will give you a good indication of the shape, size and layout of the accommodation on offer, however we strongly advise you view this beautifully presented home for yourself to fully appreciate the many benefits on offer. 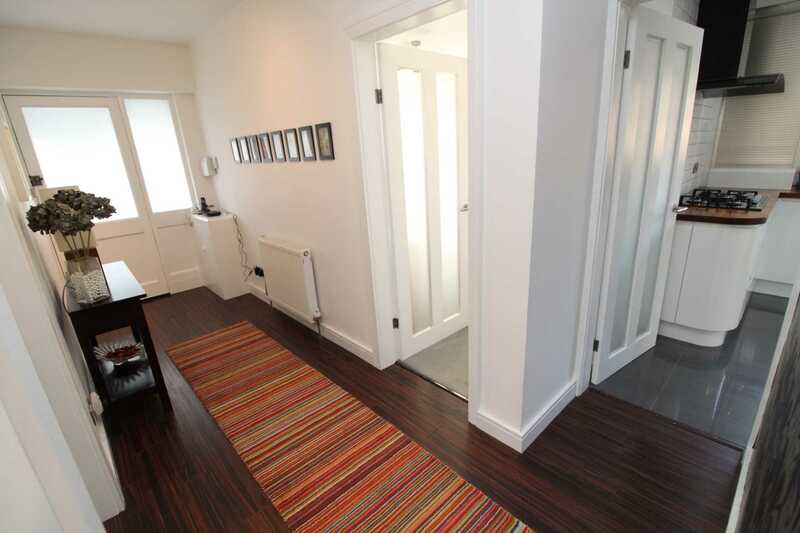 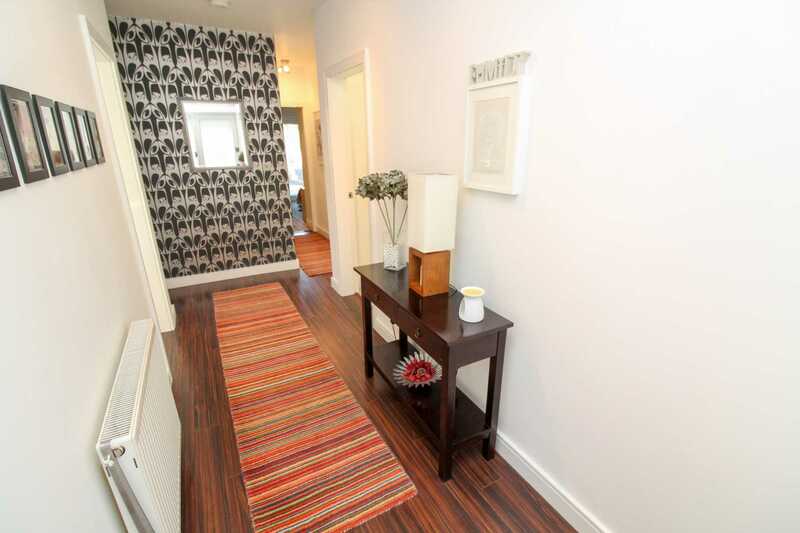 In brief the accommodation comprises: There is an entrance vestibule before you enter the main reception hall. Then the reception hall, leads to all of the ground floor rooms, with the spacious lounge found to the left, with feature fireplace to one wall, plus dual aspect views, via a window to the front aspect and two smaller windows facing the side aspect. 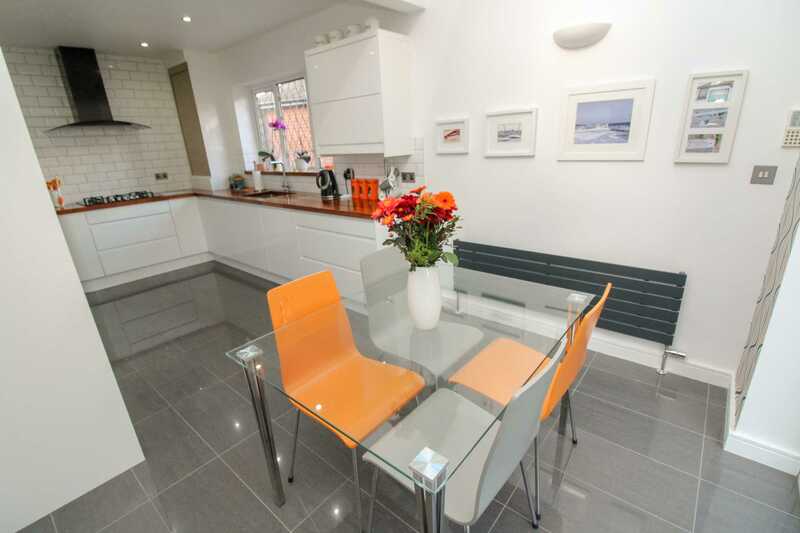 Then you will find the stunning dining kitchen which has one end offering space to dine beneath the vaulted ceiling with roof window plus the double doors leading out to the sun terrace. 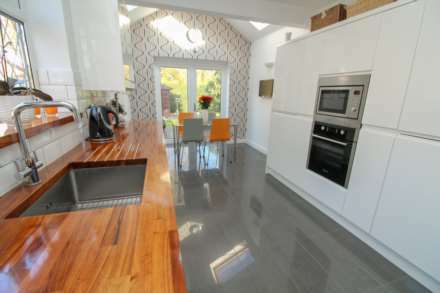 The remainder of the dining kitchen is fitted with an extensive range of contemporary and stylish units. High gloss white fronts and contrasting coloured varnished work tops are complemented by handle free units, ceramic tiled splash backs and a ceramic tiled floor which bounces the natural light around the room. 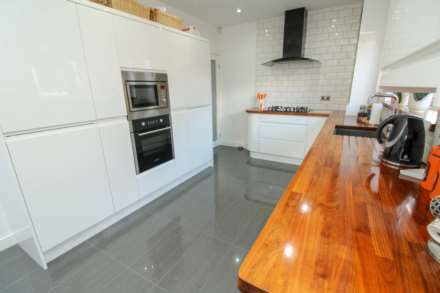 Integrated appliances include a microwave over, plus electric oven beneath, gas hob with extractor hood above and fridge freezer. 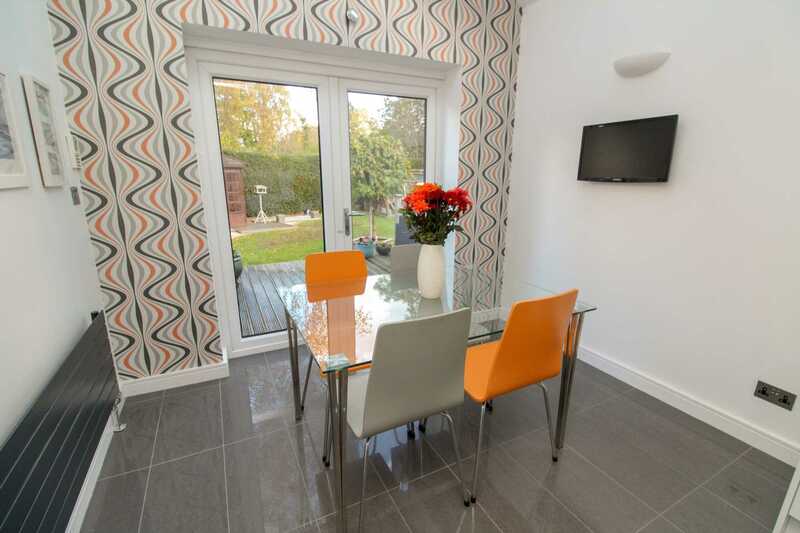 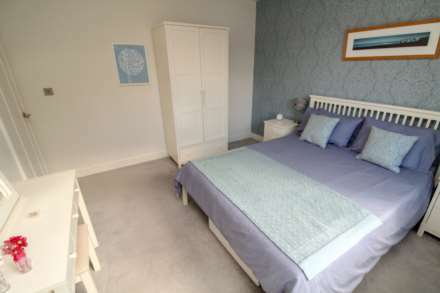 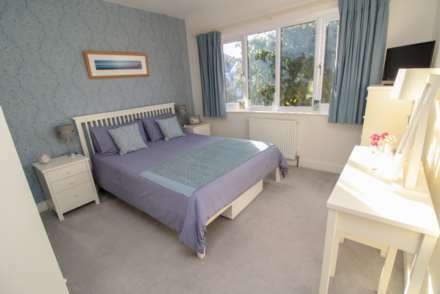 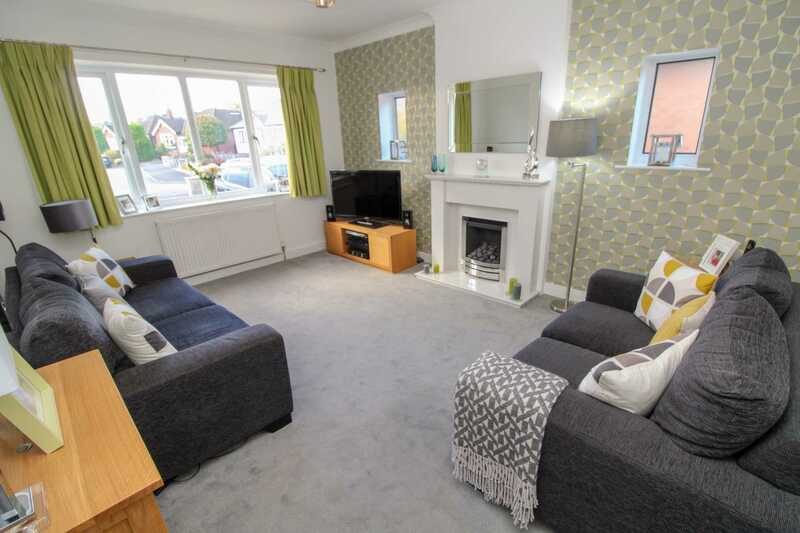 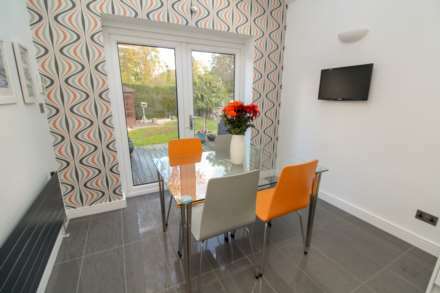 Then off the hall you have 3 bedrooms in total with a double bedroom located to the front of the accommodation, the master double bedroom is located to the rear of the accommodation with patio doors leading out to the sun terrace and a range of fitted wardrobes to one wall. The third bedroom is another double which could be used as a hobby room, study, play room or whatever use suits your need. 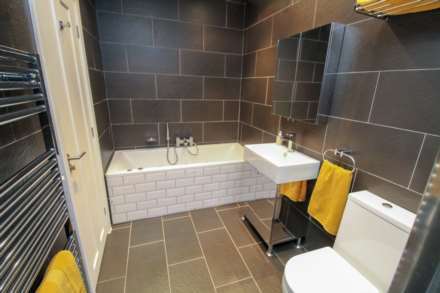 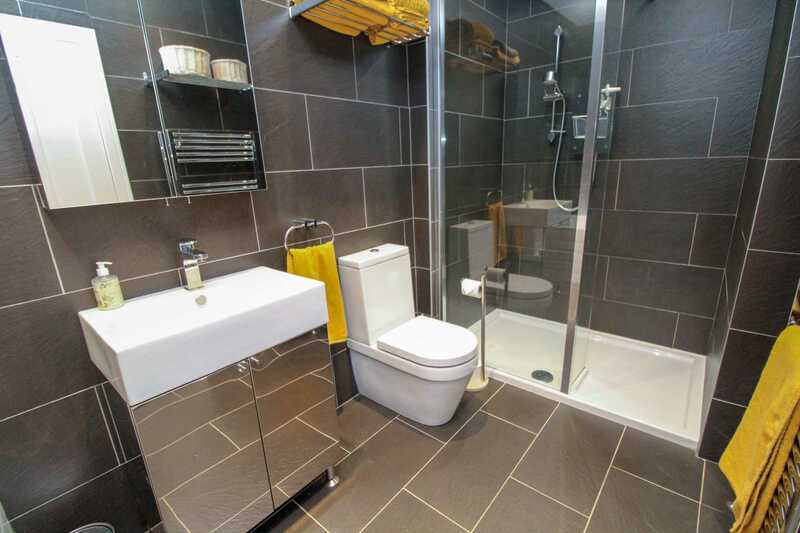 Then you have the bathroom which is a spacious room which has been re-fitted with a stylish "spa" like suite, comprising a panel front jacuzzi style bath with shower attachment, wash and basin with contemporary storage solution below, low level WC and walk in double width shower, which includes the wet area and drying area. The look of this room is complemented by chrome fittings and attractive tiled walls and flooring. 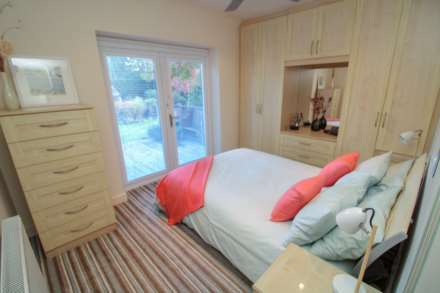 Finally the home is warmed by gas central heating and has double glazed windows throughout. 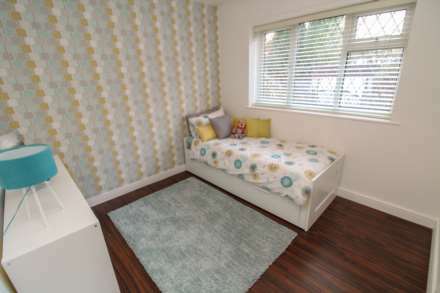 Internal viewings are highly recommended.